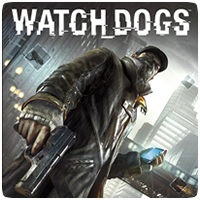 Contrary to yesterday’s article, Ubisoft has officially revealed that Watch_Dogs is coming to PS3 and PS4 on May 27th 2014. In addition to revealing an official release date, Ubisoft has also released an all-new story trailer. Over the last few months, the development team has been working non-stop to fully realize their ambition and polish the Watch_Dogs experience to live up to gamers’ high expectations. The game was originally expected to be a PS4 launch title back in November 2013, but was delayed so developers had more time to polish the game.